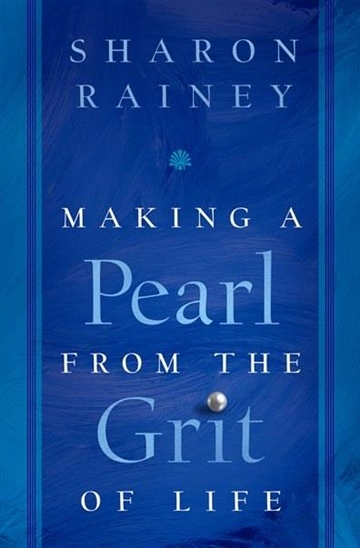 Making a Pearl from the Grit of Life allows us to follow Sharon Rainey on a very private path of early trauma. It leads us through depths of the human spirit -- depths we come to recognize as very much like our own -- and, through hard-won lessons, emerge onto a higher place of inner strength and happiness. Along the way we learn, via Sharon’s example, how to take the inner steps that lead to peace, contentment, and successful living. We learn how to - see life from a new, higher perspective - live in the solution instead of the problem - practice compassion for people who err… including ourselves - hold on in hope, when we see only darkness and despair - allow laughter to lift our spirit - connect to a “community of spirit,” with a life rich in deeper friendships - trust in a power greater than ourselves - center ourselves in meditation and prayer - stay rooted in the everyday joys of home life.